VPE’s compact & miniature heat exchangers are now offered in a wide selection of off-the-shelf models. 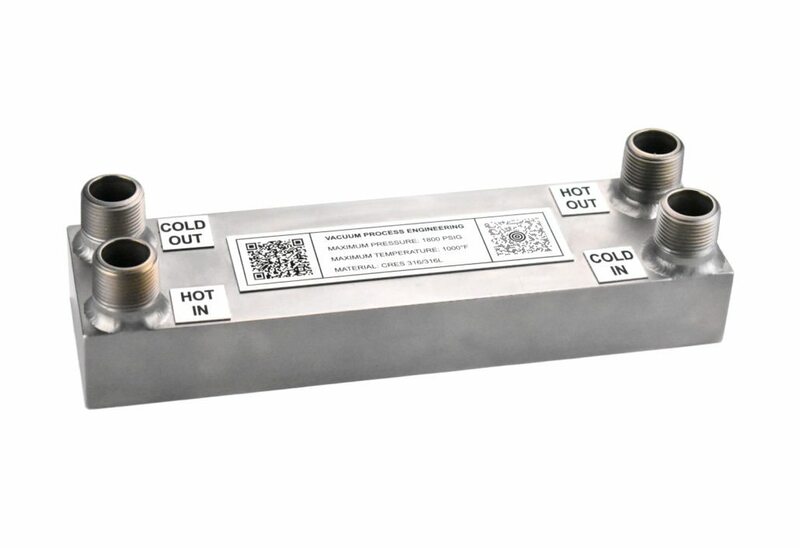 These heat exchangers are manufactured using the same technology as VPE’s Diffusion Bonded Microchannel Heat Exchangers (MCHEs), which are also known as Printed Circuit Heat Exchangers (PCHEs). 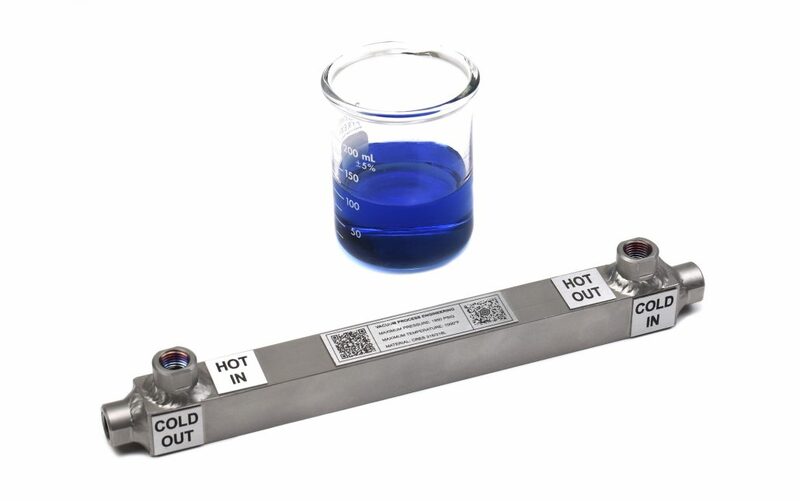 These high reliability, compact heat exchangers outperform and compete with the standard products such as Shell & Tube and Brazed or Welded Plate heat exchangers. 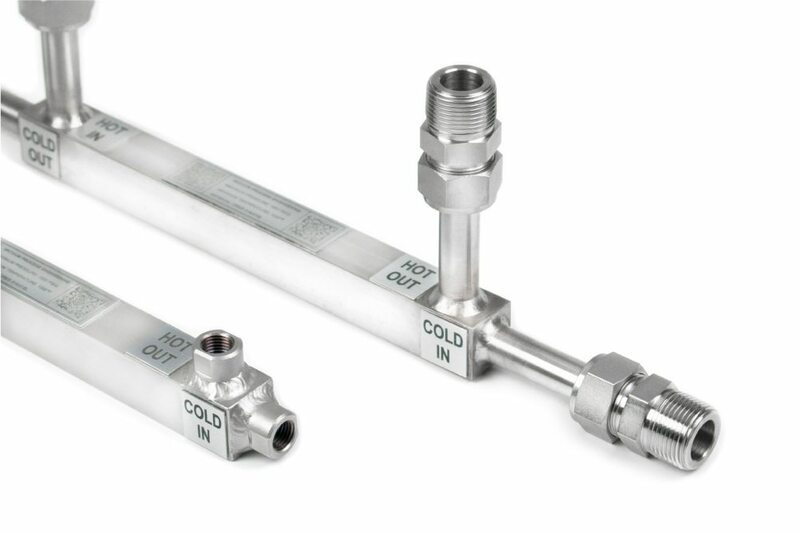 Readily customizable for multi-stream, ultra-high pressure, low MW gases, sCO2, etc. The Series A and Series B lines of compact & miniature heat exchangers are carried in stock and ready to ship. Please look at the Specifications & Operating Conditions under each Model. Then send your request to info@vpei.com with the part number and quantity. If your requirement is not listed in the Series A or Series B models, please see the Made to Order section. The 10 inch core length remains constant, while the core width and height range from 1 inch to 2.5 inches. The 20 inch core length remains constant, while the core width and height range from 1 inch to 2.5 inches. The 30 inch core length remains constant, while the core width and height range from 1 inch to 2.5 inches. The 10 inch core length and 3 inch core width remain constant, while the core height ranges from 1.5 inches to 2.5 inches. The 16 inch core length and 3 inch core width remain constant, while the core height ranges from 1.5 inches to 2.5 inches. The 12 inch core length and 4 inch core width remain constant, while the core height ranges from 1.5 inches to 2.5 inches. The 24 inch core length and 4 inch core width remain constant, while the core height ranges from 1.5 inches to 2.5 inches.